Performance Improvement Plans help supervisors guide their subordinates toward improved performance. But they can also be used to develop documentation to support termination. How can subordinates tell whether a PIP is a real opportunity to improve? 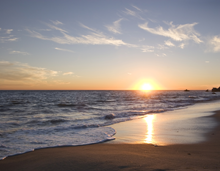 Malibu beach at sunset. The Yorkshire ballad "Scarborough Fair," of which there are many versions dating back hundreds of years, is about an exchange, between former lovers, of promises of rewards upon completion of impossible tasks. For example, "Ask him to find me an acre of land/Between the salt water and the sea-strand/Plough it with a lamb's horn/Sow it all over with one peppercorn." An acre of land between the salt water and the shore (sea-strand) simply does not exist. Sowing an acre with a single seed is impossible. The impossible task is a recurring theme of poetry, mythology, literature, fable, and song. Most often, the setter of the task is an evil figure — royalty, slave master, demon, or devil. The recipient is usually the hero of the piece, and often triumphs by achieving the impossible through trickery, wit, strength, or heroism. When we hear these stories, we can easily recognize the preposterousness of the task and the evil of the taskmaster. But when we ourselves are in the place of the hero, we have a much more difficult time perceiving the impossibility of the mission we've accepted. Photo courtesy the U.S. Environmental Protection Agency. The Performance Improvement Plan (PIP) is a tool of performance management, commonly used when someone is performing below expectations. PIPs usually serve two purposes. The primary purpose of many PIPs is to provide a framework that helps supervisor and subordinate collaborate to elevate the subordinate's performance. The secondary purpose is to provide documentation for termination proceedings. Often the first purpose is professed but fictitious. A plan is presented to the subordinate, but failure is foreordained. Documentation of failure is the true goal. How can subordinates determine whether failure is foreordained? Here are some indicators that suggest that the true purpose of the PIP is documentation for termination. Realistic objectives are achievable. That is, given appropriate resources and time, they can be done. Some PIP objectives are simply unachievable — they are inherently impossible, or they exceed the bounds of human knowledge. PIP durations are often set uniformly across the organization, independent of the nature of performance issues. One PIP might be focused on keeping more regular hours; another might be focused on repairing trust between co-workers. Keeping more regular hours might be addressed in weeks; repairing trust can require months or even years of effort. If the PIP timeframe is clearly too short for the issues to be addressed, the PIP is at risk of foreordained failure. If the subordinate is unable to obtain and defend necessary resource commitments, the plan is a fiction. A PIP that depends on resources that the subordinate can't get or keep is at risk of foreordained failure. of foreordained failurePIP execution success is subject to opinion-based debate about whether or to what extent something happened in the preferred manner, then that PIP is at risk of foreordained failure. Sometimes opinions aren't based in fact. Often, the need for a PIP arises from complaints by third parties dissatisfied with the subordinate's performance — the plaintiffs. If a plaintiff assessment is the principal factor determining successful execution of the PIP, the subordinate is at risk. Because some plaintiffs view successful PIP execution as a refutation of their original complaints, they have a conflict of interest. Because relationships are inherently bilateral, both parties almost always contribute to difficulties. To assume that one party to the relationship can repair it unaided is naïve. PIPs are appropriate for interpersonal issues only if an investigation has previously determined that the other party isn't contributing to the difficulty. A PIP undertaken without such prior determination is at extreme risk of foreordained failure. Would you like to see your comments posted here? rbrenPxugIarFymwmdFIuner@ChacQQJiUrHnTbJyyLHxoCanyon.comSend me your comments by email, or by Web form. Micromanagement is too familiar to too many of us. Less familiar is inappropriate interference in the reverse direction — in the work of our supervisors or even higher in the chain. Disciplinary action isn't always helpful, especially when some of the causes of reverse micromanagement are organizational. In some groups, disagreeing with the majority, or disagreeing with the Leader, can be a personally expensive act. Here is Part I of a set of tactics used by Leaders who choose not to tolerate dissent. I offer email and telephone coaching at both corporate and individual rates. Contact Rick for details at rbrenJEJzOfByTZHOQkdpner@ChaclnRwEJYkKoUnBiuRoCanyon.com or (650) 787-6475, or toll-free in the continental US at (866) 378-5470.